Italy is one of those well-traveled places with lots on offer but only a few Italy all inclusive resorts. And only a few good ones at that. 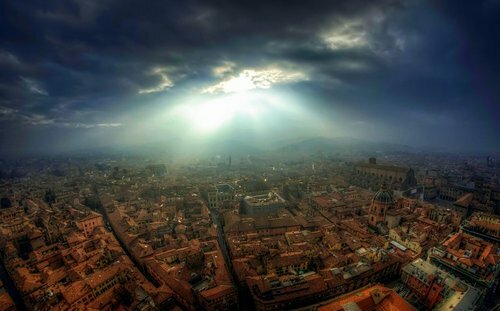 The nature of Italy and the love of things beautiful and well designed it seems does not lend itself easily to the all inclusive concept. Yet these resorts show that it possible to meld these seemingly distinctly different worlds. 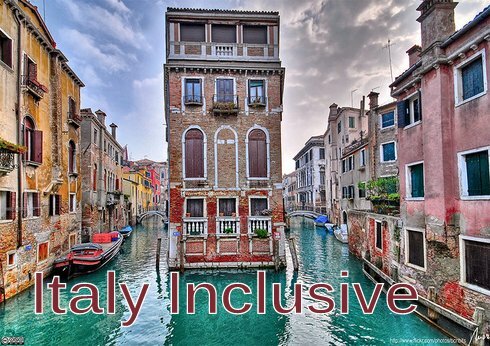 We will also show here that there are some wonderful all inclusive vacation opportunities available in Italy. You can see also our article "What are the best all inclusive resorts in Europe?" 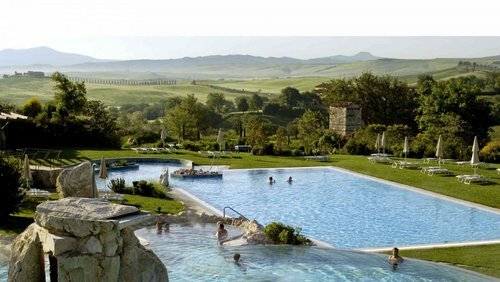 Located in San Quirico d'Orcia, Italy this not only the Best all inclusive resorts in Italy but also one of the best in the world according to the TripAdvisor survey recently. The Adler Thermae Spa is well known for the package deals in which it offers inclusive experiences. While these change from time to time they almost always have an Italian all inclusive resort offering. At the time of writing the ADLER THERME inclusive services package offered "Culinary Delights" welcome drinks, a healthy breakfast buffet, another buffet in the afternoon that has yummy home-made cakes, fruit salad and an la carte gourmet evening meal. There is generally a good mix of healthy salads and tasty deserts, cheese platters and the like available throughout the day. This resort is unusual in that it is a Spa resort where the whole family is included in the experience. There are activities and services available to everyone in the family around the resort and including the spa - an area usually restricted to adults in most upscale resorts. 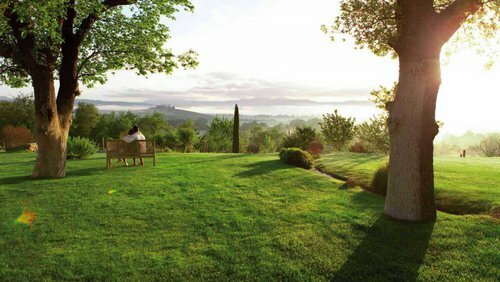 Set in the Orcia Valley, Tuscany with it's rich culture and environment. The 50°C hot water spa treatment will make you relaxed enough for a stroll through the vineyards. Club med has a number of Italy all inclusive vacation resorts which are designed to make the most of Italian food, the wonderful ruins and sites of the Rand the wonderful Mediterranean beaches. Located at Cervinia-Zermatt, this resort delivers inspiring views up the valley and the kind of all inclusive service that Club Med is famous for. Kids are well taken care of with professional staff and a whole range of activities. When you book a premium vacation all you need consider is how long you would like to spend on the ski slopes and enjoy. The all inclusive Italian vacation resort we have listed here does get slightly more very good than average reviews. You can also take the the time to see the best hotels and resorts in Calabria if you are interested in this wonderfully sunny and exotic resort coast. 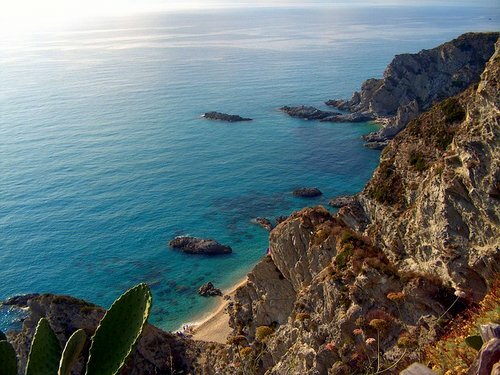 Club Med Napitia is in the Calabria region of Southern Italy. This is an amazing area of the Mediterranean beaches in Soutern Italy with great beaches, romance and great restaurants. The resort itself has 10 hectares of gardens and is on one of the magnificent beaches away from the major cities. A good pick as the best Club Med all inclusive in Italy this resort more often than not receives excellent reviews. But there are also a lot of other good hotels and resorts in Leece (link by by TA). Like most Club Med resorts this resorts has lots of activities and lessons for beginners in golf and snorkeling. Some of these activities include open access to volleyball, water polo, kayak and more. Since Italians love beauty, G Adventures has designed a series of vacation vacation packages that showcase the best of this wonderful country. 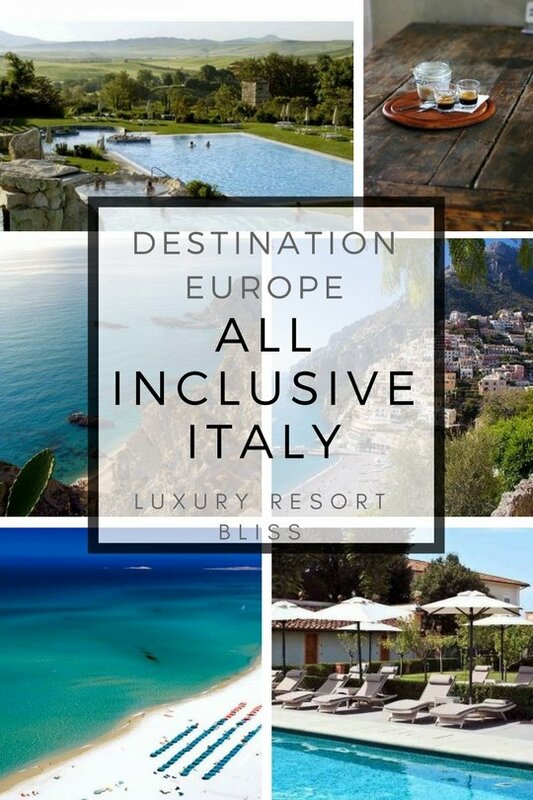 Check them out on our Italy All Inclusive Packages Page. Another small property which does it's best to deliver an all inclusive environment.